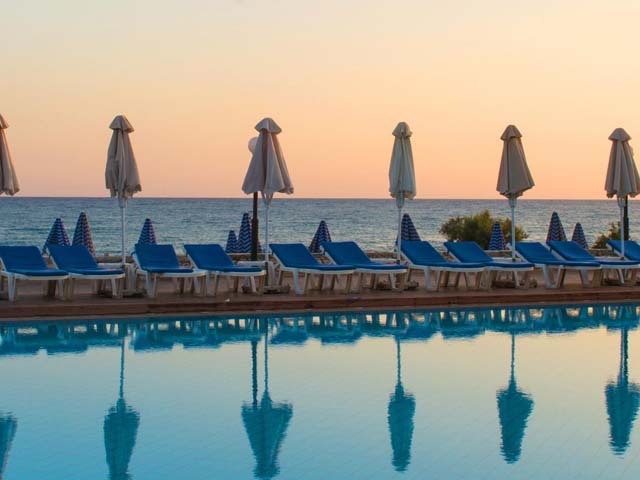 Open: April to October...At a distance of just half an hour from the Heraklion International Airport, Silva Beach lies on the east side of Hersonissos, Heraklion, Crete. Open: April - October... 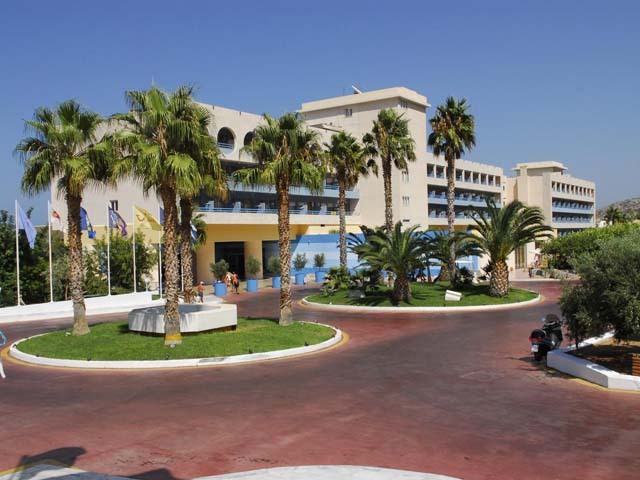 The Royal Belvedere Hotel All Inclusive is situated overlooking the Port of Hersonissos, 26 km east of the City of Heraklion and 25 km from Heraklion Airport. 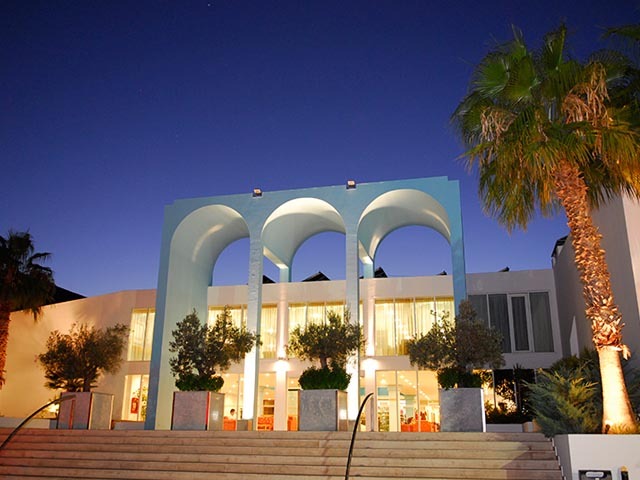 Open: April - October... King Minos Palace, belongs to Xenotel Group Hotels, and is an A’ class, 4-Star Hotel. It is located 26 km east of Heraklion Airport, on the north coast of the Cretan Sea , at 15 minutes walk to the fishing port of Hersonissos. Open:March-October...This property is minutes walk from the beach. 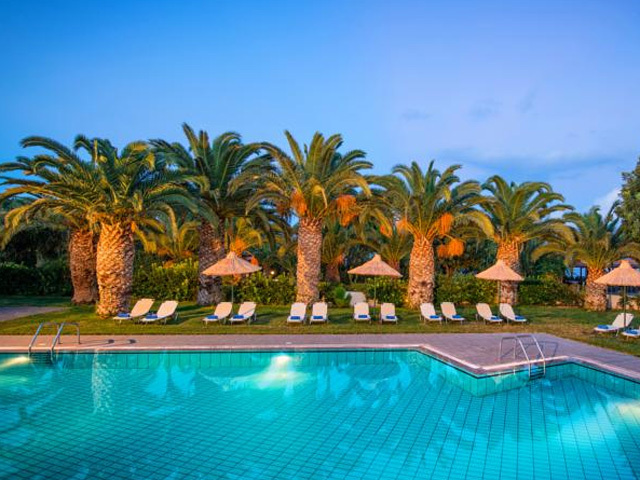 Standing on a hill overlooking Hersonissos, Imperial Belvedere Hotel is set within a Cretan garden with lemon, olive and palm trees. It offers 7 swimming pools, and 3 tennis courts. The bright and airy rooms are air conditioned and have a 21-inch satellite TV, safe and a mini fridge. They all have balcony with views across the Aegean Sea and the contrasting hillside. Open: April - October... The Hersonissos Maris Hotel Bungalows & Suites is situated 25 km from Heraklion Town and only 15 minutes walk to the Center of Hersonissos. Set in quiet surrounding, with an excellent Sea View and a beautiful spacious Garden, is next to the seaside with small Sandy Bays.